Does homefield advantage exist in fantasy MLS? The idea of a homefield advantage has been around for forever. 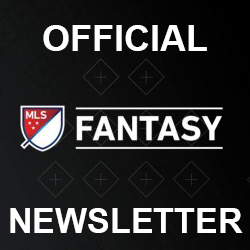 It is certainly true in soccer and MLS, but what does it look like for MLS Fantasy? Note: the data used is 2015 data and does not account for the new scoring changes. It is assumed that the new scoring changes won’t significantly change the outcomes. On average, defenders score about 22% more PP90 at home while both midfielders and forwards score about 17% more at home. This makes sense as the home team scores more goals on average than the away team. Additionally, many away teams tend to play more defensively, resulting in more possession and attacking opportunities for the home team. What all this means, and what many of you already know, is that we should pick as many home players as possible for our weekly lineups. On a specific note, Toronto starts the season with 8 straight away games. At the time of writing, Giovinco was owned by over two thirds of all FMLS managers (seriously, what were the people who assign prices thinking?). Giovinco might be a player where we throw the above advice out the window. If we take his league-leading away PP90 of 7.54 and just plunk it down with the rest of the league’s home PP90, he would rank 14th. Even with the extended road trip, Giovinco is probably the best “set and forget” player in the game. However, I do think that you can find a rotation that will outperform him of Keane, Drogba, Kamara, BWP, insert your favorite forward here. Goalkeepers score only 6% more PP90 at home than away. That is really surprising considering that defenders had the largest difference between home and away performance. 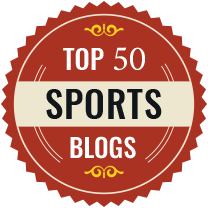 The strategy of rotating goalkeepers to have as many home games as possible is one that is widely used across fantasy soccer games. Given how little difference there is between home and away points for keepers in FMLS, it doesn’t make much sense to spend extra money to get a second keeper – something I had initially planned to do this season but have just brought in a scrub instead. There’s always exceptions to the rule as guys like Wondolowski, Amerikwa, and a host of players from Colorado actually performed better away from their familiar grounds. At the other extreme, we have guys that perform extraordinarily better at home – 2015 saw most of those players wearing a Galaxy uniform.